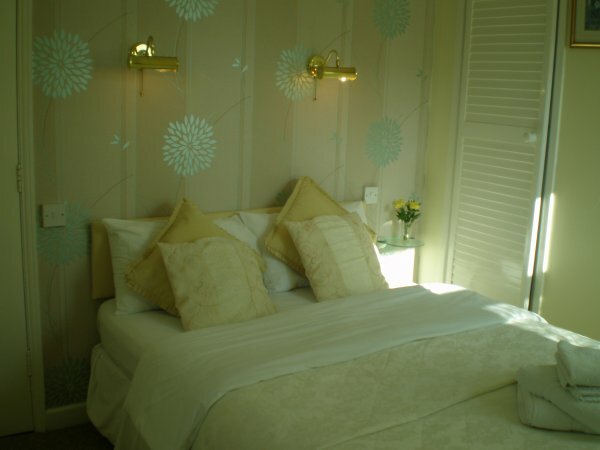 This newly redecorated and refurbished double room is situated on the first floor. It has a light and airy feel with a sea view from both the windows. The room comprises of a comfortable double bed, plenty of wardrobe and cupboard space, there is a remote control TV with built in free view and DVD player and Free WiFi. The en-suite has a toilet, shower, wash hand basin and a selection of complimentary toiletries. 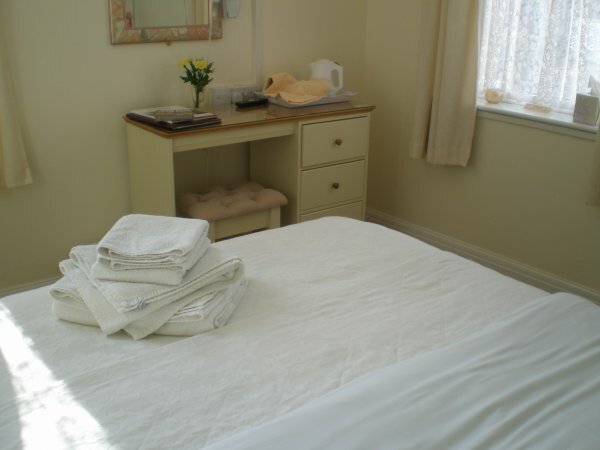 We provide a fully stocked tea and coffee tray and fresh towels every day.